After getting off from Charbagh railway station, we were firstly welcomed by tumultuous environment of auto drivers and rikshawallas and it puzzled us that; Are we in the city of so called Nawabs? 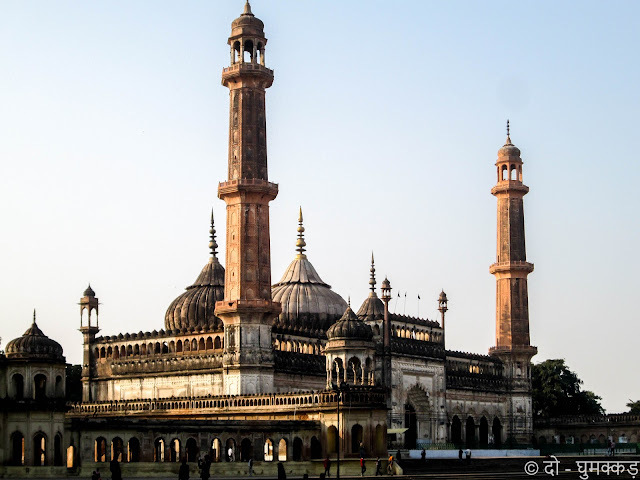 But sooner we got realized our mistake, as while driving towards the town one can easily feel the expansiveness of extravagant life style of Nawabs by seeing various domes, mosques or towering minars. Lucknow-The city of Nawab famous for Kebab, Chikankaari and its unique Adab & Tehzeeb,is filled with various monuments with every one showing its own royal history. 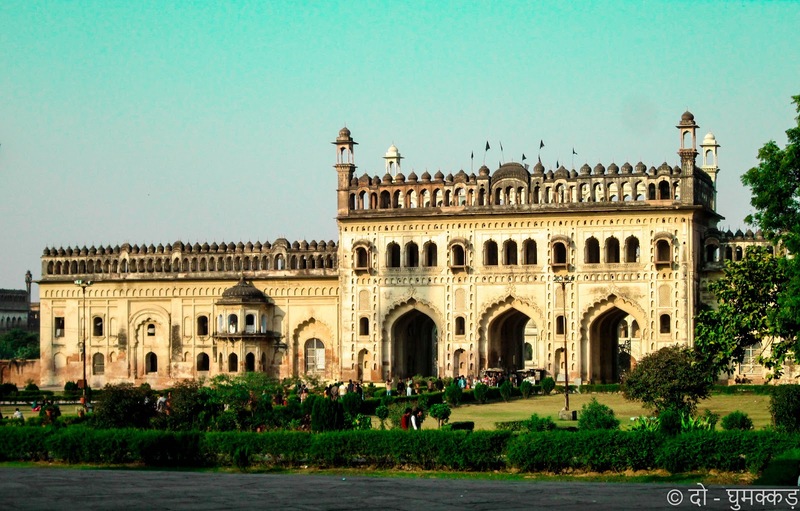 We were here to explore Bara Imambara, the most distinctive architectural structure of Lucknow, which shows its grandeur in completely different ways. With the generous motto of giving employment to their citizens during famine years of 1784, Bara Imambara the most imposing and beautiful structure of Lucknow, was built by Nawab Asaf-Ud-Daullah. 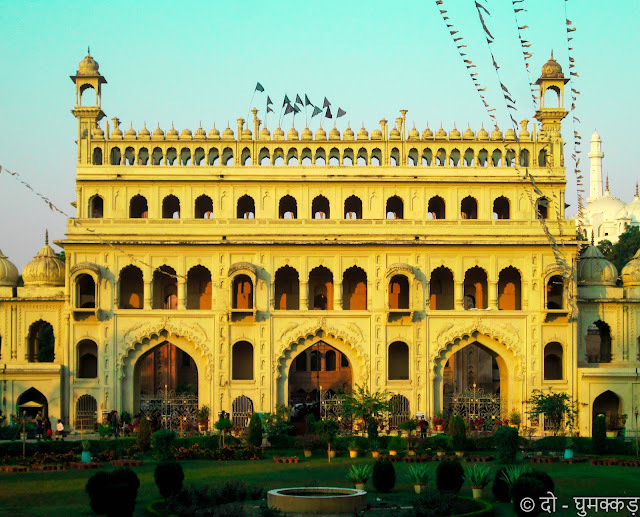 After passing of approximately 250 years, this three storeyed building, made of laukhari bricks and decorated with lime plaster, is still standing very proudly and singing the history of its making. 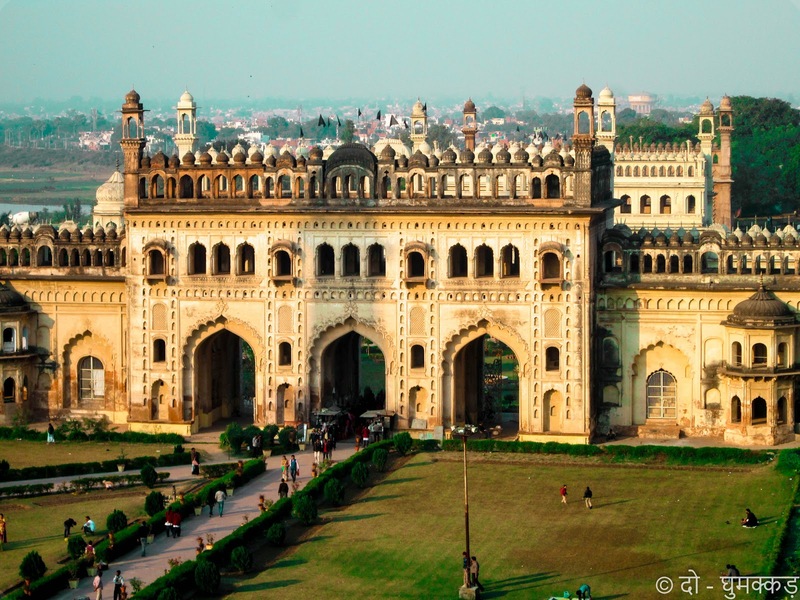 The gateway to Hussainabad trust area(which maintains the Bara Imambara), looks very picturesque as one can see embracing Asafi mosque and Bara Imambara each other. 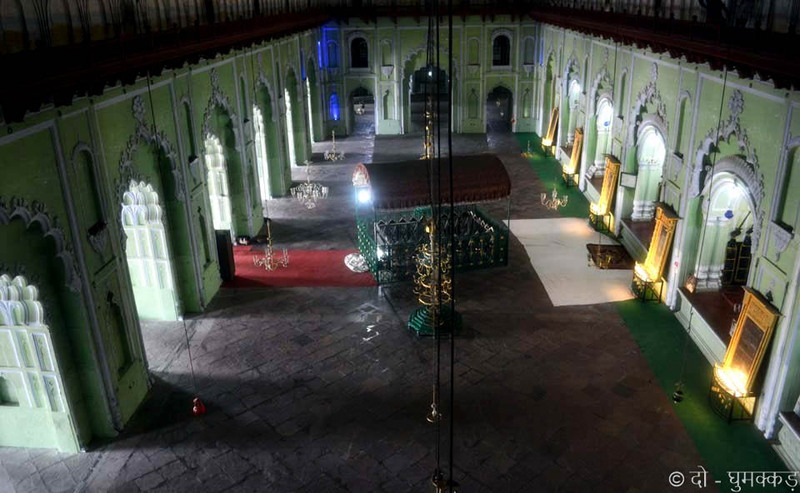 With starting our manhunt with Central hall of Bara Imambara, also known as Persian hall, we had a jiggered expressions on our face when our guide tells us that this massive ceiling is supported by only air cushion, as no pillars and column were used in its construction making it one of the world largest unsupported ceiling. Continuing our trail above the main hall, we came in front of labyrinth, where guide requirement is must. 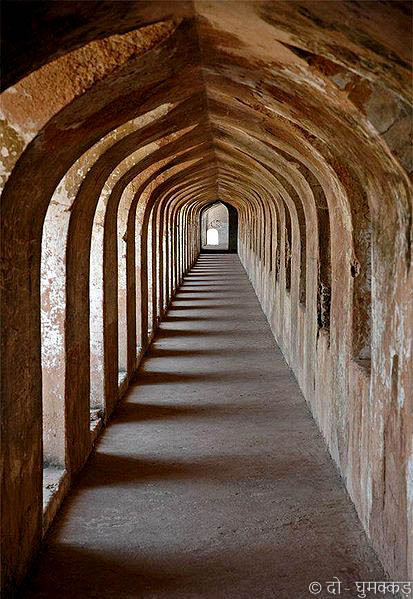 As 1000 vaulted passageways, 489 identical doorways and low ceiling gallaries gives the feeling of getting lost and make the real taste of Bhool Bhulaiya. We were again astonished as guide narrates the making of this edifice construction, that how this royal structure were built with Surki(a brick dust), Urad Daal, Rice Husks and Khaane ki Gond(a tree gum, commonly used in sweet laddoo) as a mortar. 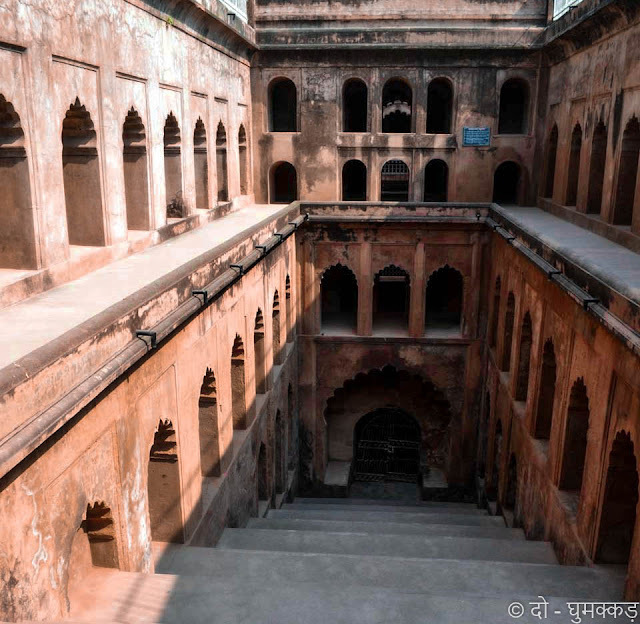 The centuries old this structure has also a Baoli, adjoining the main gate at an angle of 45 degrees and thus one can see the reflection of any entry from main gate in the Baoli waters, showing the masterclass of architect Kifayatillah. 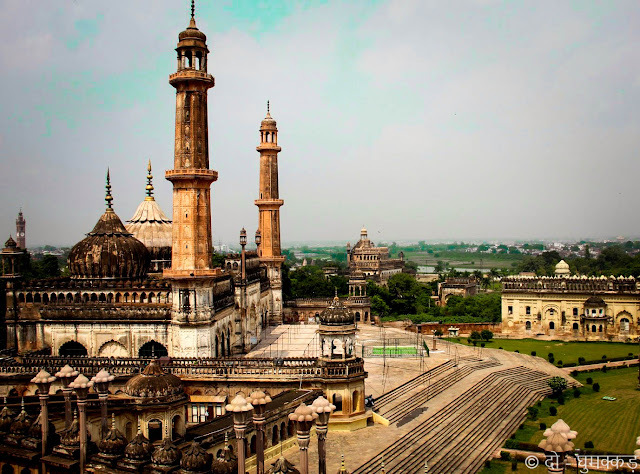 As the sun starts settling down, we rushed towards the rooftop to see the breathtaking panorama of Lucknow, which looks like bathed with the golden rays. The cinematic view of Asafi Mosque between the two skyscrapers from the rooftop is so enthralling that one can't stop himself from capturing that. 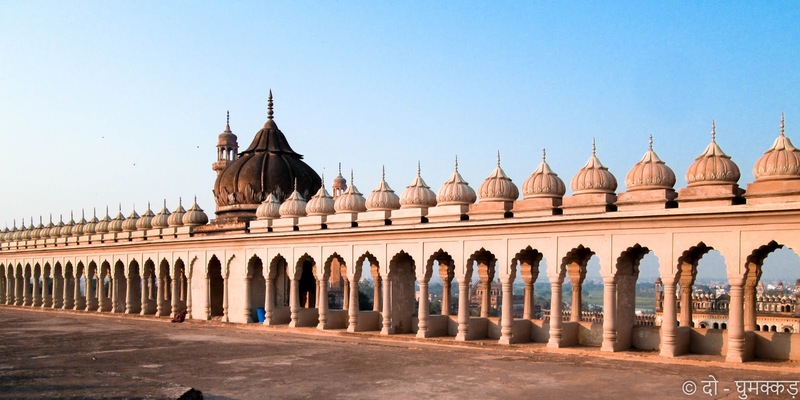 Exploring magnificent and eye-catching structures for almost 3-4 hours will surely take you to an ethereal titillating and spectacular level. It is the effect of this place that, you even don’t recognize when the Nawabi culture, history and Tehzeeb captured your mind with mesmerizing memories.